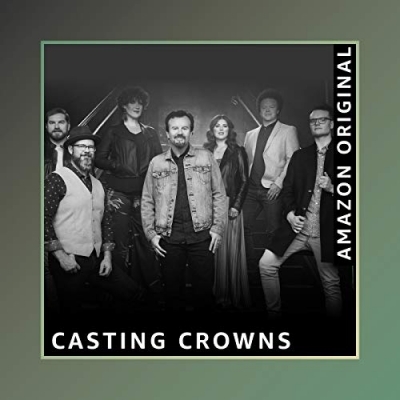 The GRAMMY-winning CCM band Casting Crowns has released an Amazon Original single 'Only Jesus'. The new recording is a stripped down re-imagination of the song from their upcoming album, Only Jesus, which releases next Friday, November 16th. When discussing the band’s latest project, Only Jesus, Casting Crowns' frontman Mark Hall takes great pains to shift the focus off of the band, off of himself, and solely onto the one they sing about - Jesus. The new album digs deep into the who and the why, inviting the listener on a heart-journey of foundational faith, immovable trust and ultimately, freedom in Christ. The collection of songs are more than the life lessons and teachings from scripture fans have come to expect, they’re personal expressions of the need for a savior. Only Jesus is an album full of depth and wisdom with plenty of energy and anthemic praise.